A switch by Sen. Dominic Pileggi on pension reform would certainly explain why the PSEA is pushing for him for Delaware County Common Pleas Court judge in the DEMOCRAT Primary. State Sen. Dominic F. Pileggi is now actively opposing pension reform, we have been told. The former Majority Leader who represented the 9th District since 2002 had long given lip service to the need but as he is now on the outs and looking for a Common Pleas Court judgeship, the mask has been removed. Was it sour grapes at those who removed him from power? Or was it a a ploy for the registered Republican to win on the Democrat primary ballot for his judicial race hence obviating a campaign for November? Judicial candidates are allowed to cross file in Pennsylvania. If the latter, it appears to be effective. He has gotten a rousing endorsement from the PSEA, the teachers union that is biggest obstacle for real reform. The union is asking Democrats to vote for him. But does it matter? To fail to see the need for drastic changes to our public pension system is political malpractice at the highest level. It is the very definition of injustice to ask a working class homeowner to ante up another thousand or two so someone can keep a $477,591 public pension. How can anyone be so callous as to be unwilling to fight this corruption? 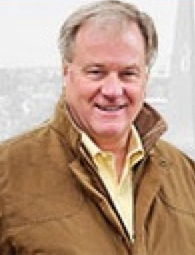 Sen. Scott Wagner (R-28) sent this email blast out March 3 concerning the failure to pass Mary’s Law i.e. SB 501 on March 2. And it was a blast as he called out the five southeast Republican Senators voted no to the amendment — Sens. John Rafferty of Montgomery County, Stewart Greenleaf of Montgomery County, Tom McGarrigle of Delaware County, Robert “Tommy” Tomlinson of Bucks County, and Dominic Pileggi of Delaware County– being especially harsh concerning Pileggi and Rafferty. Here is what Wagner wrote with the attached PennLive.com article by Jan Murphy that he references. The purpose of this post is to give you an update on “Paycheck Protection” legislation. At the end of my post is a story from Penn Live yesterday detailing the vote on this important reform in the PA State Senate. An amendment was offered yesterday on the floor by Senator John Eichelberger to SB 501. The amendment offered yesterday would have narrowed the restriction to only ban governments from deducting money that is used for political purposes while still allowing dues collection to support general union operations. The PA State Senate had a tie vote of 24 to 24 which resulted in the amendment to SB 501 failing to pass. It was disappointing but not a surprise that five southeast Republican Senators voted no to the amendment. It was also not a surprise to me that Senator John Rafferty voted no on the amendment – in the ten months I have served in the PA State Senate I have found Senator Rafferty to be the most disingenuous member of the Republican Caucus. To be honest and direct, I have watched Senator Rafferty repeatedly undermine our new leadership – Senator Rafferty is self-serving and badly wants to be Pennsylvania’s Attorney General. Senator Dominic Pilleggi is another issue – since losing his leadership post he is a bitter person and will do anything to undermine the PA State Senate’s new leadership – the good news is that Senator Pilleggi is running as a judicial candidate for Common Pleas Court in Delaware County – the sooner that Senator Pileggi is gone from the PA State Senate the better for everyone. I can assure you that our PA State Senate leadership and conservative members will continue to push to pass this important reform. To achieve our many goals to move Pennsylvania forward it is critical that we elect additional conservative Republican members to the PA State Senate. It is my personal goal to add a minimum of four additional conservative Republicans to the PA State Senate in 2016 so that we can advance the right agenda for Pennsylvania. An attempt to pass a controversial amendment to a bill that would restrict union dues collection from state and school employees’ paychecks narrowly failed in the state Senate on Monday. But most likely, we haven’t seen the last of this amendment to this so-called paycheck protection bill. The Senate voted 24-24 to defeat the amendment. A short time later, it voted 29-19 to reconsider the amendment at a later time, keeping it alive. The bill, sponsored by Sen. John Eichelberger, R-Blair County, would have made it illegal for government to deduct union dues from state and school employees’ paychecks. The amendment offered on Monday narrowed that restriction to only ban governments from deducting money for unions that is used for political purposes while still allowing dues collection to support for general union operations. The amendment was crucial to winning the support of Republican Sen. Chuck McIlhinney of Bucks County, who indicated last week he would be a no vote without that change. Every Republican vote the amendment could muster was needed to pass since Democrats voted as a block to oppose the bill along with five Republican senators from the southeastern corner of the state – Sens. John Rafferty of Montgomery County, Stewart Greenleaf of Montgomery County, Tom McGarrigle of Delaware County, Robert “Tommy” Tomlinson of Bucks County, and Dominic Pileggi of Delaware County. When the vote on the amendment ended in a 24-24 tie, Lt. Gov. Mike Stack cast a vote against the proposal although Senate staff said later that the tie vote had already ensured its defeat. Afterward, Stack seemed pleased he had the chance to cast a vote against this particular amendment, even though it turns out it wasn’t necessary. *This story was updated to reflect the fact that the tie vote on the amendment resulted in its defeat and Lt. Gov. Mike Stack’s vote didn’t break the tie. Pileggi Seeks Common Pleas Court Seat? 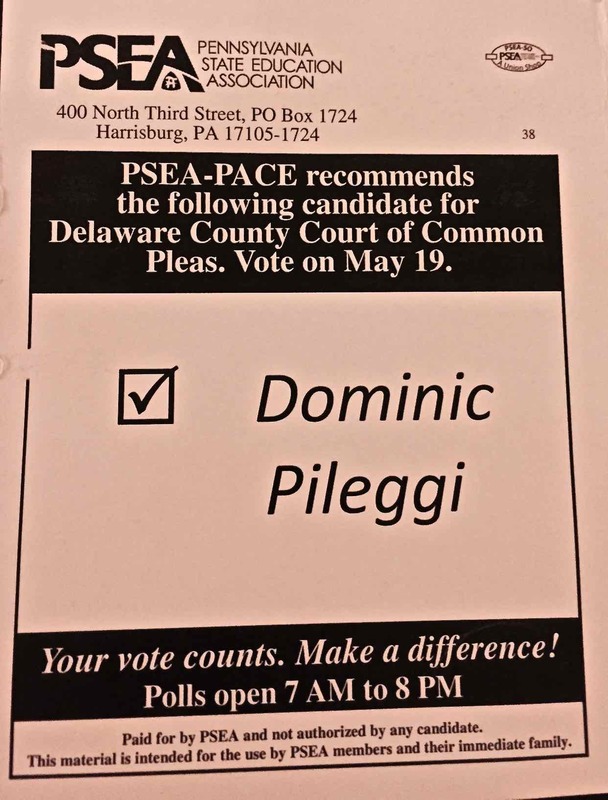 Delaware County Daily Times Editor Phil Heron has just tweeted that Dominic Pileggi will be running for election this year to be a Delaware County Common Pleas Court judge. Pileggi was elected to a third term to represent the 9th District the Pennsylvania State Senate in 2012. It runs through January 2017. Pileggi had been the Senate Majority from Jan. 2, 2007 until Nov. 30, 2014 after losing to Roger Corman in a hotly fought reorganization vote on Nov. 12. He resigned his last chairmanship on Jan. 29 to the surprise of many. Author BillLawrencePosted on February 6, 2015 February 6, 2015 Categories PileggiLeave a comment on Pileggi Seeks Common Pleas Court Seat? Sen. Dominic Pileggi (R-9) has resigned as chairman of the Pennsylvania Senate Local Government Committee it was announced yesterday, Jan. 28, on the Senate floor according to The PLS Reporter. Pileggi announcement to the post was made Jan. 9. His resignation leaves the former Senate Majority Leader without any committee chairmanships. Replacing him is Scott Hutchinson of the 21st District, who had chaired the Senate Communications and Technology Committee. Replacing Hutchinson as chairman of the Communications and Technology Committee is Ryan Aument of 36th District who had chaired the Senate Intergovernmental Operations Committee, which now will be chaired by newcomer Tom McGarrigle of the 26th District, who is so new Wikipedia has not even figured out what year he was born. 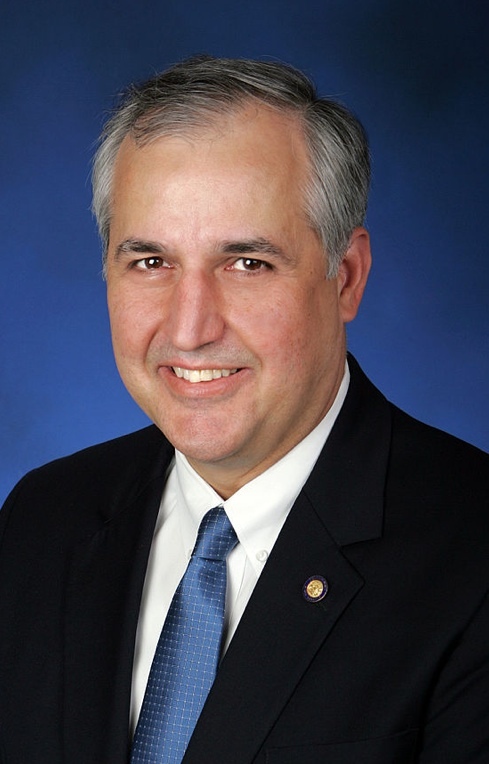 Pileggi remains vice chairman of the State Government Committee. The Pennsylvania Senate is controlled by the Republicans 30-20. The Pennsylvania Senate Republicans, today, Nov. 12, have voted to replace Delaware County’s Dominic Pileggi (R-9) as Majority Leader with Jake Corman (R-34) of Centre County. 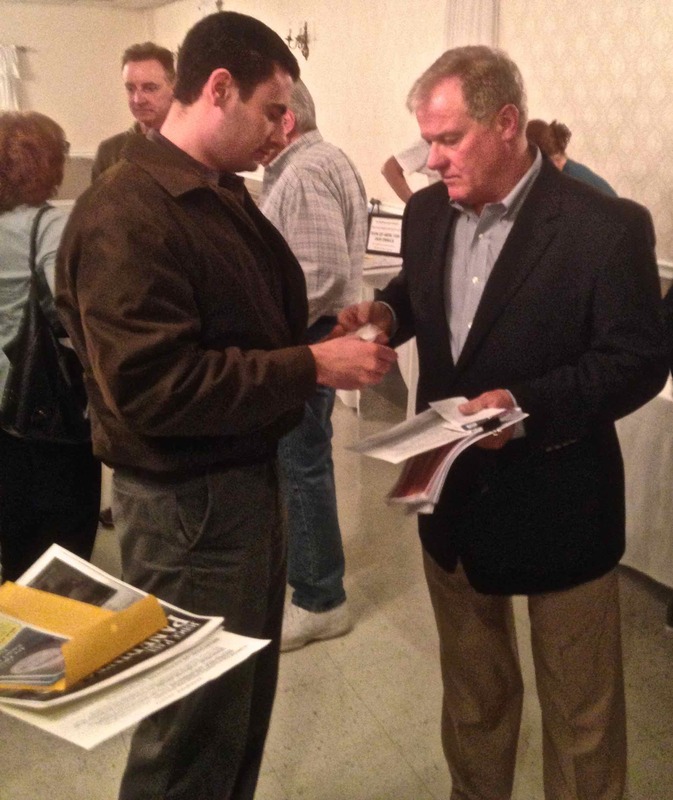 The insurgency was inspired by newcomer Scott Wagner (R-28) of York County who objected to Pileggi’s union connections and the lack of pro-taxpayer, pro consumer legislation passed during his reign. Pat Browne (R-16) will be the new Appropriations Chairman; John Gordner (R-27)will be new Majority Whip; Bob Mensch will be be caucus chairman; and Sen. Rich Alloway will be caucus secretary, reports PoliticsPa.com. Joe Scarnati, (R-25), who was also opposed to Pileggi, will remain Senate Pro Tempore. Many of these men, especially Scarnati, have ties to anti-taxpayer groups as bad if not worse than Pileggi. The Lehigh County Republican Party has called a meeting to vote on a censure motion for Pennsylvania state senators Pat Browne, whose 16th District consists of parts of Lehigh County, Monroe County and Northampton counties, and Bob Mensch, whose 24th District consists of adjacent Bucks, Berks and Montgomery for their union-backed votes. Browne and Mensch are among those who have allied themselves with Scott Wagner of the 28th District who is seeking to unseat Dominic Pileggi of the 9th District (Delaware and Chester counties) as Majority Leader of the Republican-controlled Senate. Wagner, a newcomer, is leading a rebellion against Pileggi. Pileggi receives much money from the unions in the state, and Wagner blames him for not getting commonsense pro-consumer, pro-taxpayer legislation passed despite the Republicans having complete control over the state government since January 2011. Perhaps, Pileggi isn’t entirely to blame. The Lehigh organization notes that Browne and Mensch voted against an amendment proposed by Senator Wagner in support of “paycheck protection” legislation that would prohibit automatic deduction of union dues from state workers. It should also be pointed out that Browne was among those getting a huge dump of union money just before the last election. Browne is seeking to chair the Appropriations Committee while Mensch is attempting to become Caucus Chairman, reports PoliticsPa.com. Jake Corman, who is tapped by the rebels to replace Pileggi, also gets his share of union money. Granted, it’s not as much as Pileggi but will that sill be the case if he should win the Majority Leader seat? And Joseph B. “Joe” Scarnati, the president pro tempore, of the Senate, who is also part of the rebels, appears to be outright owned by the forces of darkness. Pileggi, by the way, voted for Paycheck Protection. The new boss may end up being the same as the old boss or worse. However this battle ends those who care about the poor, elderly and unemployed — this means one is against the unions — keep it about issues and not people. “Neither the party itself or the leadership has suggested a censure,” he said. “We are supportive of the Senators overall and of their leadership bids as good for our region,” he said. Dominic Pileggi of the 9th District is facing a challenge from Jake Corman of the 34th District to be Majority Leader of the Republican-controlled Pennsylvania State Senate, a spot Pileggi now holds. Pileggi has been under fire from conservative groups and has come under fire from newcomer Sen. Scott Wagner of the 28th District for the inability to get commonsense consumer and taxpayer oriented reforms in the state that would gore the oxen of the state’s powerful and wealthy unions but would make life a lot easier for everybody else. We have been asked to compile a list of Pileggi’s major contributors. However, a supporter of Pileggi sent us the following list of contributors to Corman for 2014 and noted that Corman was a yes vote on the pay raise and pension hike. Can we wish a pox on both houses? Truthfully, we suspect that both men are smart enough to read the very large writing put on the wall by the voters in the once union-dominated states of Wisconsin, Michigan, Indiana and Ohio and remember the fate of soon-to-be former Gov. Tom Corbett. They are also smart enough to know they are being watched and being held accountable. To our Tea Party friends who see bright red whenever they look at Pileggi’s name, stop making it personal. If Pileggi should win, focus on issues. To use a local example, a new $150 million high school is being proposed for Springfield. Repealing the prevailing wage law will cut the cost greatly with some estimating it could be by as much as $30 million. The unions that contribute to both men but especially Pileggi don’t want the law to change. We suspect it would be far more effective to focus on the issue of saving elderly and unemployed people a lot of money while getting a school built rather than about how Pileggi is a bad, bad, bad person. And that is the Pileggi vs Corman – Tale Of The Tape. Pileggi vs Corman – Tale Of The Tape. Anti-establishment Republican Scott Wagner has picked up a supporter in his rebellion against Pennsylvania Senate Majority Leader Dominic Pileggi of the 9th District which includes large parts of Delaware and Chester counties. Don White of the 41st District has also declared that Pileggi should step down from the post. Pileggi has been majority leader since 2006, a rather remarkable feat since he only entered the Senate in 2002. Wagner crushed party-pick Ron Miller in a special election, March 18, to fill the 28th District seat that was vacated by Mike Waugh for a suspiciously sweet job to direct the Pennsylvania Farm Show complex. On Sept. 30, Wagner posted on his website a manifesto as to why reforms aren’t getting done in Harrisburg. “The roadblock standing in the way of getting any real reforms passed is our Republican Senate Majority Leader Dominic Pileggi,” he said. Wagner has concluded that it is because Pileggi is tied to closely to labor. White, yesterday, Oct. 10, sent his own letter to Pileggi in which he says “You have succeeded in fracturing our caucus and bastardizing the committee process to promote an unknown agenda that is debilitating to our caucus and, more importantly, our Commonwealth. White accused Pileggi of being the deciding vote in the Appropriations Committee in favor of an an amendment drafted by “extremely liberal environmental group Penn Future to House Bill 2354, and failing to advance House Bill 1243 which passed the House overwhelmingly with bipartisan support to prevent harassment of gun owners by local governments unwilling to respect state law. White also noted that Pileggi squelched SB7 that would limit the rate of spending growth in Pennsylvania to the rate of inflation and did the same to paycheck protection in June. White was specifically angry about Pileggi’s actions regarding health insurance. “On an issue important to me personally, and as a favor to Big Pharmacy, you engineered an end run around the committee process in an attempt to enact a health insurance mandate that is terribly written and simply unworkable, without a proper vetting or debate of the issue,” he said. Hat tips Donna Ellingsen and Bob Guzzardi.